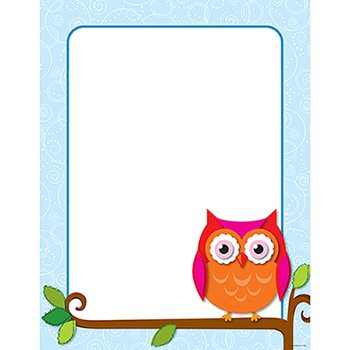 Create your own inspirational message or classroom display with this blank decorative chart complete with the popular and contemporary Colorful Owls design. This chart includes enough space to personalize and create charts for vocabulary words, signs for centers, classroom rules, weekly assignments, and much more. Let your imagination run wild! Includes one chart measuring 17" x 22". Look for coordinating products in this design to create an exciting classroom theme!